This year I want to be greener and more eco-friendly for Christmas. It’s not every day that I spend hundreds of dollars on products that might not be eco-friendly. Luckily, I have a choice on how I spend my money. What has really struck me, is how gorgeous eco-friendly gifts are. If I’m honest, part of me expected a lot of boring options that I wouldn’t be excited about. Well, let me tell you! That is definitely not the case. There are some gorgeous gifts out there that also happen to be eco-friendly. You just have to look carefully and be discerning. I’ve gone ahead and scoured the web for some real gems. There’s something for everyone. 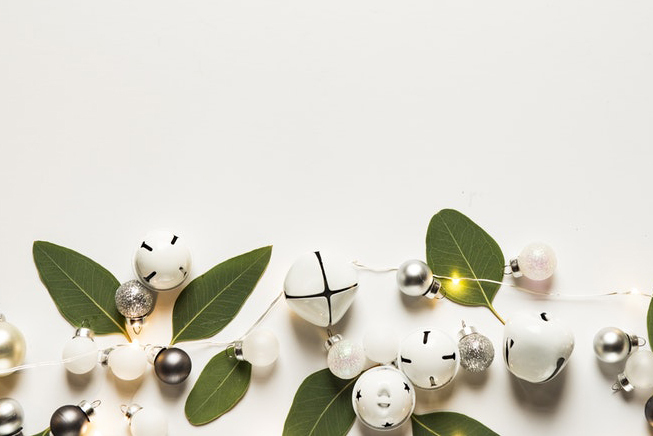 Whether you’re looking for gifts for environmentalists, sustainable gifts, or green gifts, you’re bound to find a few gift ideas. Here’s a good eco-friendly tip this Christmas: try using recyclable wrapping paper. Most wrapping paper sold today is not recyclable (I know, I was shocked too). Especially if it is covered in glitter. Did you know that non-recyclable Christmas wrapping creates nearly 4 million tons of trash every year? This Christmas, I’ll be leading by example in my house and wrapping everyone’s gifts in eco-friendly wrapping paper. 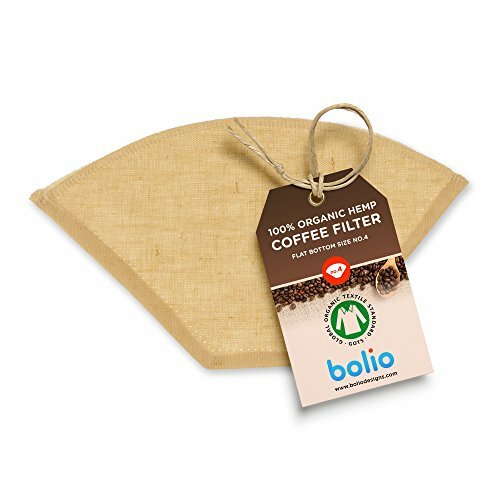 Almost everyone on this planet drinks coffee or tea, so this gift will definitely satisfy that special person on your gift list. It’s perfect for coworkers, teachers, or your best friend. 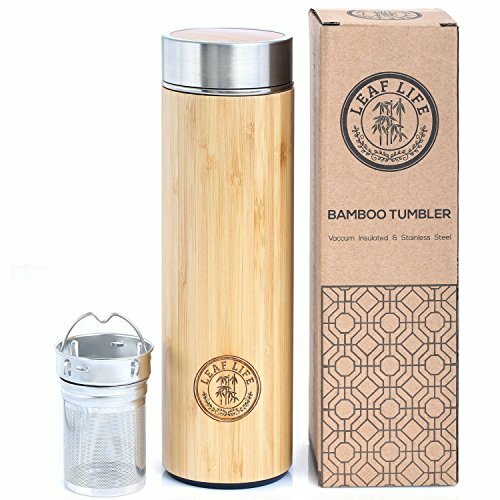 Made of 100% Organic Bamboo and stainless steel, this is very eco-friendly. It has a removable tea strainer that holds loose tea or fruit. Hot and cold drinks stay at temperature for up to 12 hours. Nearly all coffee shop cups are not recyclable due to their water-proof inner lining. That’s why every year millions of used coffee cups are sent to a landfill. Luckily, there’s a cheap and easy solution. 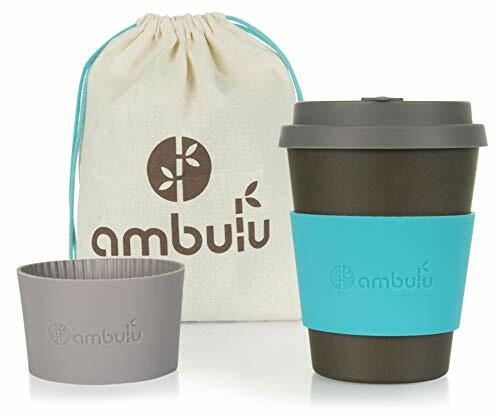 Made of biodegradable Bamboo, this reusable coffee cup looks just like a regular coffee shop cup. The lid and stopper are made of food-grade silicone and makes sure your mug is sealed tight and will last for years. Did you know that Organic Hemp is one of the most sustainable and eco-friendly materials in the world? It’s superior to both cotton and Organic Cotton. Since this filter is reusable (hundreds of times! ), it’s a fantastic eco-friendly option. 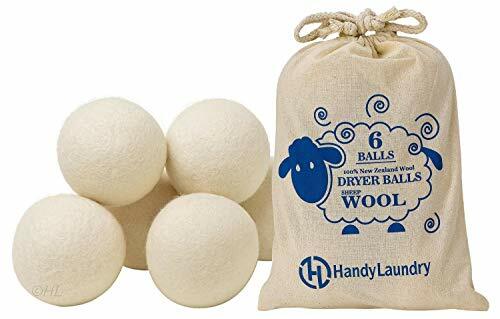 These Wool Dryer Balls are a great alternative to those plastic hedgehog dryer balls and synthetic fabric softeners. They reduce wrinkles and static naturally and can be used hundreds of times. They come wrapped in a sweet little bag, that also doubles as a storage bag. 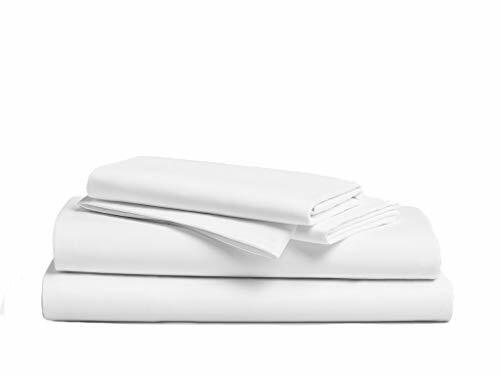 While other “bamboo” sheets are blended with polyester or microfiber to lower costs, this set of Eco-Friendly Bamboo sheets is made of 100% Bamboo. They are soft, silky, and thermo-regulating for a comfortable night’s sleep. They are also naturally hypoallergenic. Although they look and feel expensive, these sheets are actually very affordable. I like that they offer eight color options that are classic and chic. This time of year my heating bill goes up. A lot of the time I’m not even home when the heating kicks in. That’s money wasted that I could have used during the holidays. 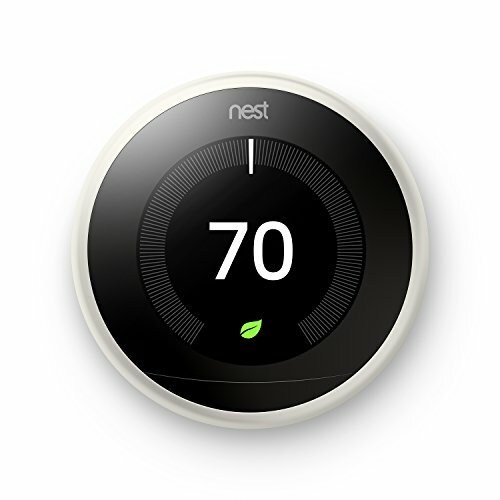 So when I saw my friend’s futuristic Nest Thermostat in her living room, I was instantly enamored. She controls it from an app on her phone and she has already recouped the costs of buying it after a year using it. Aside from the financial savings, using less gas is better for the planet (gas is a fossil fuel). What’s not to love? Should you give toothpaste as a Christmas present? 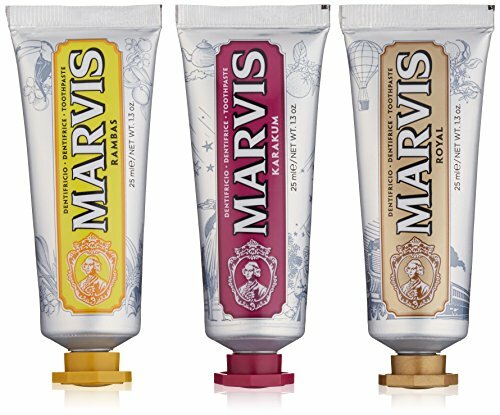 It’s hard to call this artisanal, beautifully packaged tube, toothpaste. It’s more like a luxurious and unexpected Italian treat you didn’t know you were missing. Created in Italy in 1958, it is a favorite of the fashion world, believe it or not. What I love about it, is that the aluminum tube is completely recyclable. In contrast, your average tube of toothpaste is difficult to recycle because it’s made of a mix of materials. The materials are hard to separate and therefore local curbside recycling programs do not accept them. Ilia’s Natural and Sustainable Holiday Set will make any woman feel beautiful and loved. It’s a makeup artist favorite. 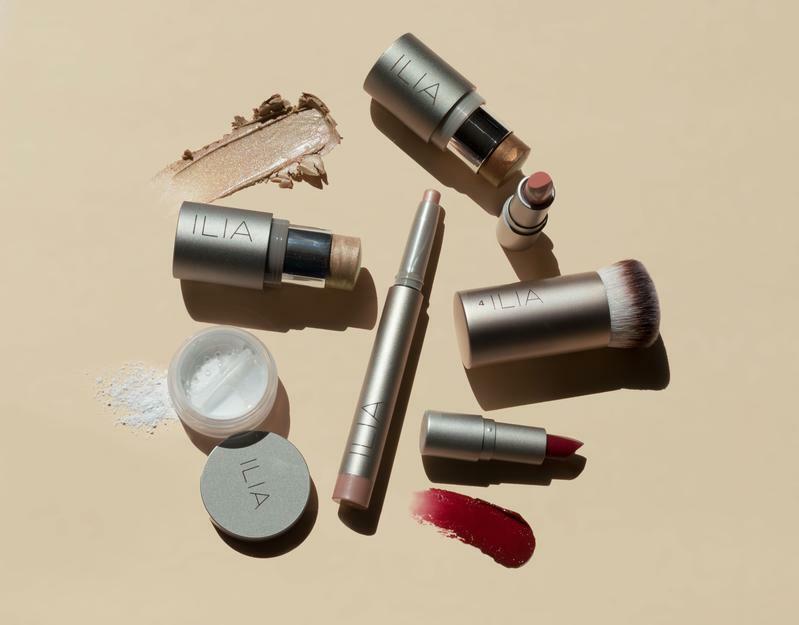 Ilia Beauty’s range of ethical and organic makeup is a dream to use. Their packaging is sustainable to boot! It includes two creamy highlighter sticks, a blendable eyeshadow stick, tinted lip balm, vibrant lipstick, a buffing brush, and a soft focus finishing powder! The savings is $85! I’m already eyeing this for myself! 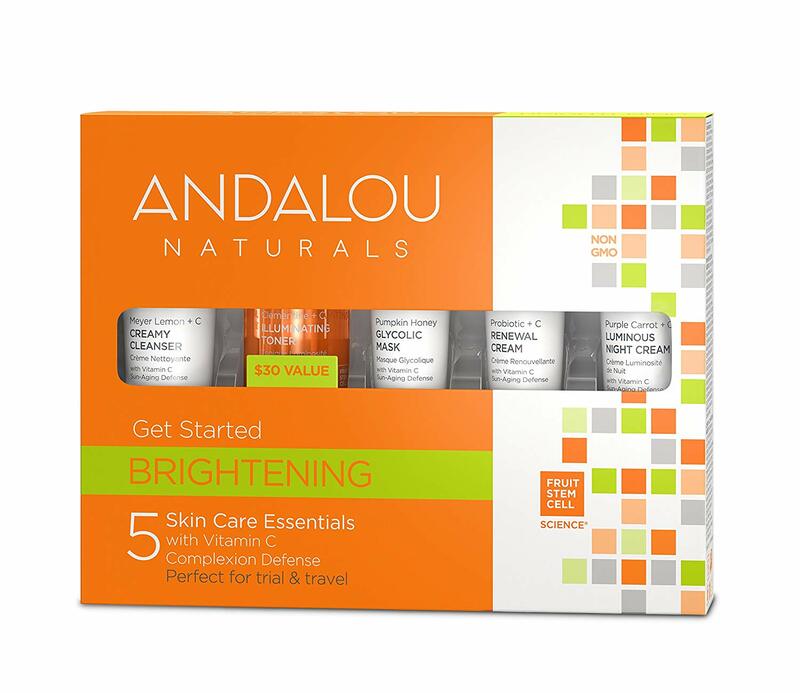 The Andalou Naturals Brightening Skincare Set is full of eco-friendly treats to pamper your favorite person. It’s packed with Organic, Gluten-Free, Cruelty-Free, Non-GMO, and Vegetarian ingredients. This naturally effective skincare set, includes a cleanser, illuminating toner, honey glycolic mask, pro-biotic day cream and luminous night cream. It’s great for skincare beginners or skincare fanatics. 50% of the world’s fabric production comes from cotton. Although it is a natural plant, it requires an enormous amount of water and pesticides to grow. So much water in fact, that lakes used to water cotton plants, are drying up. Shocking, I know. So if you’re going to use cotton, make sure it’s Organic (uses less water and no pesticides) and try to reuse it. 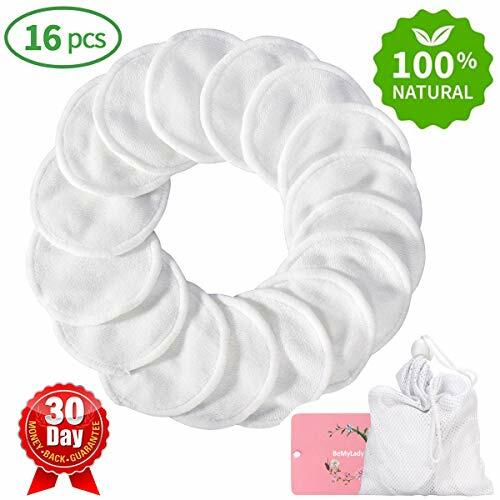 Which brings me to these very eco-friendly Organic Cotton Makeup Removing Pads. I bought a pack for myself and a few of my closest gal pals. They are going to love them! Made of 100% Recycled Canvas, the Baggu Everyday Canvas Tote is not only practical but also looks very fashionable. Carrying it is easy and comfortable, with either the grab handles or the shoulder strap. Unlike most tote bags, the Baggu Canvas Tote snaps shut with a metal snap popper. The bag is tough and will hold a lot of items without ripping. It comes in sixteen trendy, classic, and patterned options. Strong and durable, the Blue Q Shoulder tote is waterproof and collapsible for easy storage. Made of recycled plastic, this pretty shopping tote is perfect for daily use. This bag is versatile and has so many uses. For example, it can be used instead of plastic grocery bags, to store baby items, for school use, sports activities, sewing materials, and more. There’s nothing more eco-friendly than reusing something for years. It comes in 13 unique designs that will brighten your day. 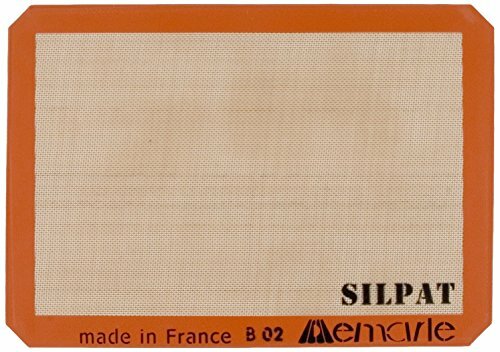 Eco-friendly and loved by professional bakers, the Silpat Baking Mat turns any pan into a non-stick surface. Rather than use rolls and rolls of baking foil and parchment paper, you only need to buy this Professional baking sheet once (and it’s not expensive!). It also saves you from having to butter or grease baking sheets. Not to be confused with copycat versions, this is the original food-grade silicone baking mat. Made in France, the baking mat is reinforced with fibreglass mesh for even baking temperatures. 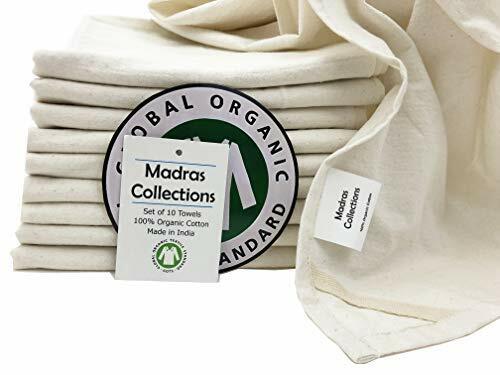 Made of 100% Organic Cotton, these eco-friendly kitchen towels are practical and lovely to use. They pick up spills and can be tossed in the washing machine when they get dirty. It’s a thoughtful gift to give someone who is beginning to turn to an eco-friendly lifestyle or already is a green machine. 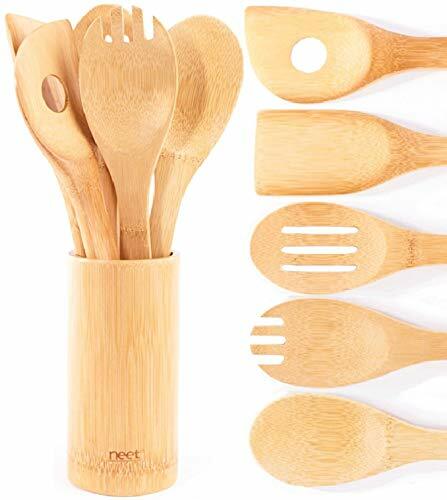 Stronger and more durable than all other wooden utensils, this Organic Bamboo Kitchen Utensil Set makes a great eco-friendly gift. They will not scratch pots or pans, so are ideal to use in the kitchen. They’re also naturally anti-bacterial, which is important when cooking. This set even comes with a nice little bamboo holder, which matches the utensils perfectly. No matter the kitchen decor, the bamboo will blend in seamlessly into the background. We’ve all been slowly realizing how we impact our planet with our choices. Christmas is a perfect opportunity to tweak our buying habits and buy greener products. Our friends and family will probably be none the wiser, but I know I’ll be satisfied knowing I’ve made a small difference. It’s alot easier than I thought. I hope you’ve got a few eco-friendly gift ideas to get you started. As always, thanks for visiting and have a lovely holiday season!